If you have a furry four-legged family member you know making preparations for their care during your absence can be stressful and overwhelming, but, nonetheless, must still be done. There are a few things you want to take into consideration when deciding what is best for your pet. Every animal handles stress and anxiety differently and it is important to weigh the pros and cons to decide which is the best option, kenneling or in-home pet sitting. You’re getting ready to leave for a trip and you are scrambling getting everything ready to go. Your pet knows you’re going to leave and they’re already beginning to feel anxious so you should take this into consideration since high-anxiety breeds (like the lovely but crazy Pomeranian) don’t do well with boarding. If you want to make your fur baby as comfortable as possible while you’re gone, having them stay in their own home is a great way to relieve their stress because they are in an environment where they are already comfortable. Finding the right person to watch your furry friend can be difficult, especially when you consider that they aren’t just taking care of your pet, but they are in charge of your entire home! Whether you go with formal or informal pet-sitting you want to make sure they are fully prepared with all of the information they need in order to successfully take care or your furry friend. This includes: when and how your dog takes meals, medical information, a walk schedule, grooming needs and playtime and bedtime routines. Sticking to the normal schedule helps greatly reduce anxiety while you are away. You may have a friend or family member watch your pet, which is completely fine, and most likely more comfortable for them. If you choose to go with a formal pet sitting service you want to make sure they have references and a way to routinely check in with you. These regular updates with make you feel much better about your pet while simultaneously making you miss their cute furry face! Your pet gets to stay in the comfort of their own home and can stick to their everyday schedule. The sitter is also able to maintain the household chores while you are gone, such as: bringing in the mail, watering the plants, etc. Your pet is getting one-on-one attention and care. It is more personal. There is less exposure to contagious diseases they may be hiding in boarding kennels. You can eliminate the trauma of having to transport and leave your pet in an unfamiliar environment. You are opening your home to someone you may not know very well, and you have to trust them. This is the biggest disadvantage to in-home pet sitting and many pet owners only objection. Although, if you take the time to find the right person (a reputable sitter who is insured and bonded) your home and fur baby will be just fine! If your dog requires a lot of love and human attention this is the best option. It is better to have someone solely focusing on them. If you haven’t looked into kenneling recently, you may be surprised by some of the amenities that are offered today. 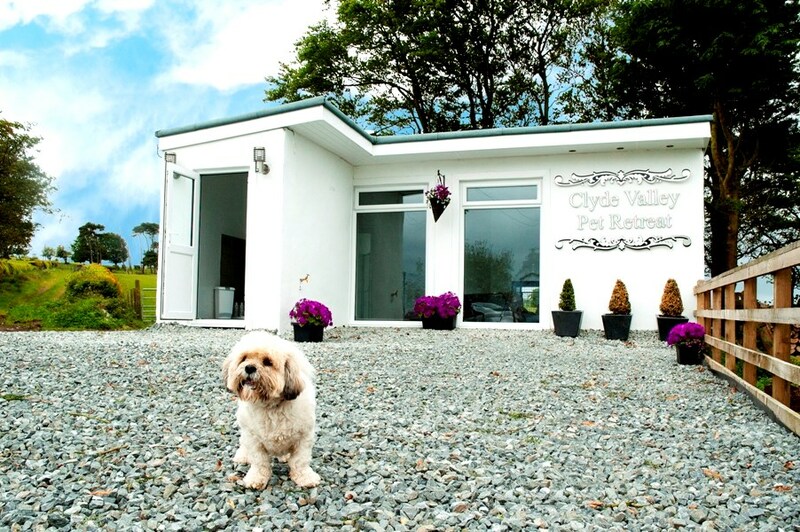 Luxury boarding facilities are the doggy equivalent of the Ritz. Some will offer a private room, daily hiking trips, group play, complimentary bathing, and more. All of this sounds great but, it is important to look ahead of time and find a kennel you can trust. There are so many options, how can you be sure what’s right for your pet? Just like us humans, dogs can become anxious and depressed if they’re forced into an uncomfortable environment and taken away from the people that they love. This is one reason why checking into the facility ahead of time is vital. The best places will allow a tour before you decide whether or not it is the right place for your pup. You will want to make sure they offer webcams and proof of certain shots and vaccinations. If they have been around for a while you should be able to gather information from online reviews as well. You don’t have to worry about having a stranger in your home. Your pet gets a ton of one on one attention and play time. There is even someone on the graveyard shift to monitor the dogs and to provide late night walks. Luxury kenneling can be expensive! There is a lot of cage-free time meaning more risk for fights.